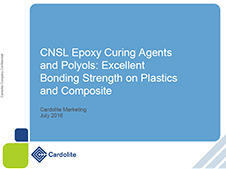 Cardolite® GX-3090 is a solvent free and very low viscosity phenalkamide epoxy curing agent. Exhibits excellent mechanical properties, faster strength development, and good adhesion at recommended mixing ratio of 35phr. Cardolite® GX-3090 provides very high Tg and excellent compression strength. 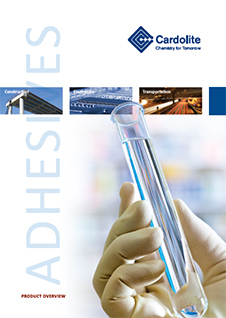 Suitable for industrial and construction adhesives.